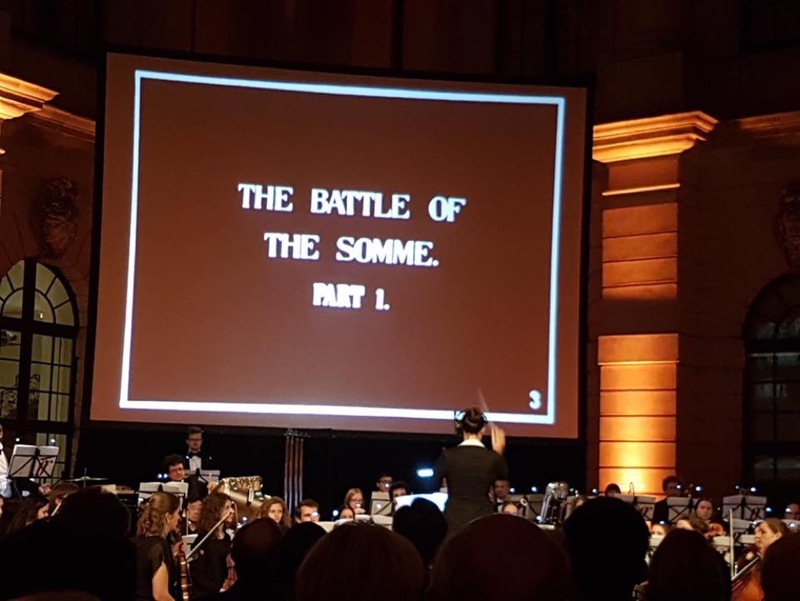 100 years of World War One – British Embassy and German Historical Museum show on 11.11.16 The historical silent film The Battle of the Somme. 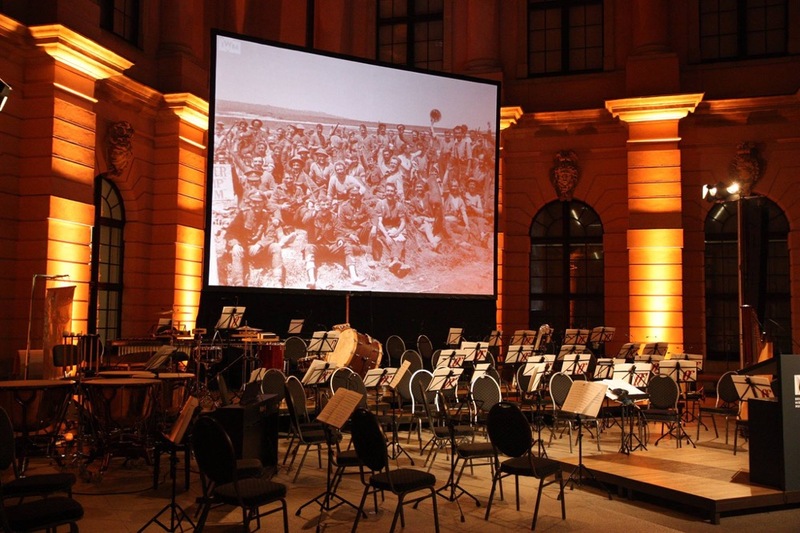 On November 11, 2016, the silent film “The Battle of the Somme” will be shown in an event for invited guests with a live orchestra in the Schlüterhof of the German Historical Museum. 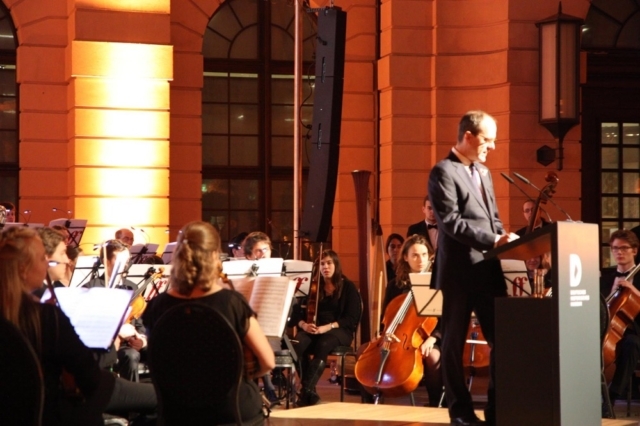 The co-operation between the British Embassy and the DHM on the subject of the “First World War” dates back to the exhibition in 2014 when the Embassy won the English historian David Reynolds from the University of Cambridge as guest speaker for the lecture series at DHM. 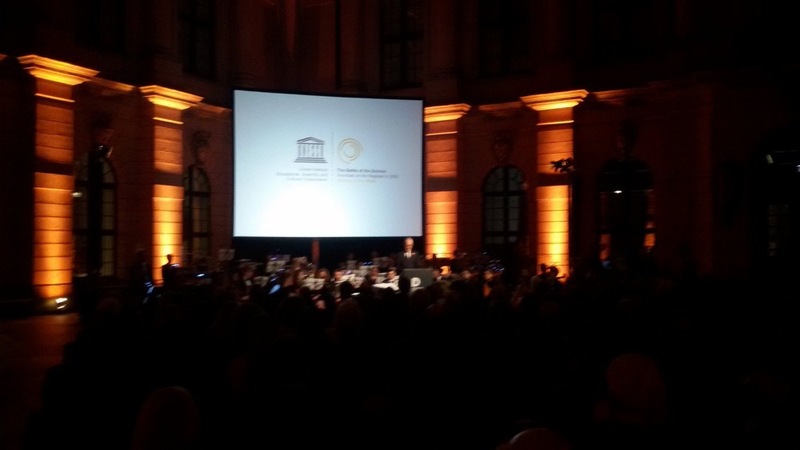 Both sides have the same educational mission: the memory of the world war is to cherish and preserve peace for future generations. “This event is the best proof that even nations who once saw themselves as irreconcilable enemies can create a common memory culture and that even exchanges and cooperation can grow even out of the battlefields of the war,” says Ulrike Kretzschmar, President a.i. The foundation Deutsches Historisches Museum. The historical film “The Battle of the Somme” was the first war documentary film in feature length. Within two months after the August 1916 Kinostart, around 20 million people saw him in Great Britain – almost half of the British population of that time. The entire film was shot by only two comedians, Geoffrey Malins and J.B. McDowell, between 25 June and 9 July 1916 at the Kriegsschauplatz. The film is presented in the style of a documentary, but it is basically a propaganda film, which was taken to satisfy the great interest of the British public in news and pictures from the front. The film shows the preparations for the infantry attack, the course of the attack on 1 July 1916 and the mood after the battle. Since it was assumed that the spectators in the cinema would be interested in recognizing their men, fathers or sons in the film, the comedians held as many faces as possible. They often even asked the soldiers to turn around and look at the camera. In 1920, the film became the property of the Imperial War Museum, which in 2002 provided for the digital restoration of the remaining parts. 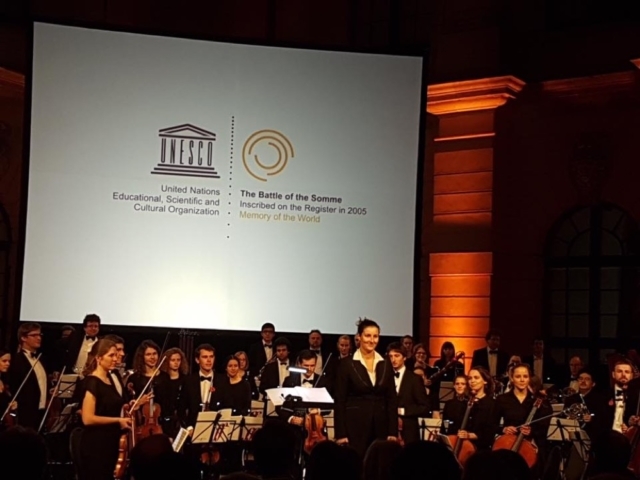 After that, The Battle of the Somme was recorded by UNESCO as one of the first films in the world documentary world at all. The performance with orchestral accompaniment in Berlin is part of a series of 100 screenings around the world commemorating the Battle of the Somme 100 years ago. For more information on the series, please visit www.somme100film.com. Laura Rossi composed the film music performed by the Collegium Musicum of the Unversities FU / TU under the direction of Donka Miteva. 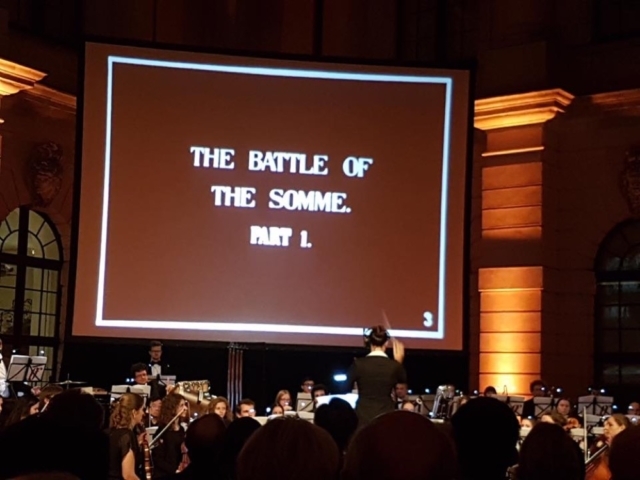 In 2006 the Imperial War Museum entrusted Laura Rossi with the composition of an orchestral score for the silent film. 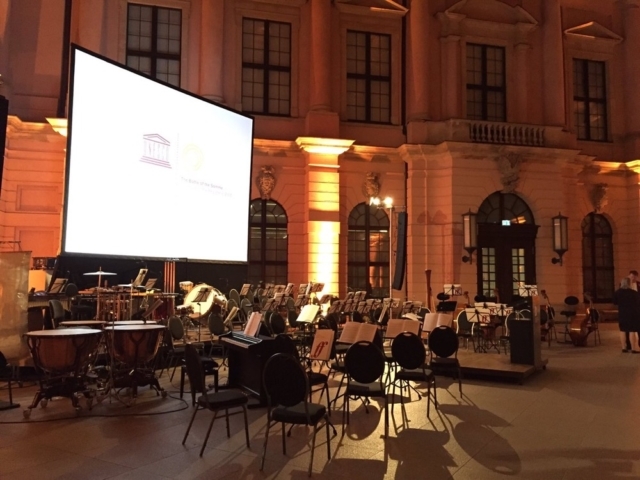 The music reflects the happenings on the screen, making it easier for the modern public to access the silent film. The restored version was first shown for the 90th anniversary of the battle. Laura Rossi’s film music was premiered by the London Philharmonia Orchestra.